Under the huge umbrella of fraud are a vast array of charges that can be set in motion by a single phone call. If proof is found it can be terrible for your business but even if not, the damage can be made with this initial charge. When you’re facing money laundering charges personally or as a business, you need to act fast to get the support you need.  At Ashmans Solicitors we have a team of dedicated money laundering solicitors in London who have the ability and expertise to guide your case through to a positive conclusion. We’re on hand to help you with our prejudice and discover the best way for your case to end. This is done by our team getting to know you, your case and the charges held against you. Our highly-trained money laundering solicitors in London can help shape your case to get the best results possible. We know how damaging fraud charges can be when they’re made against your company and trying to find a criminal defence that works for you is difficult. Fortunately, when you choose Ashmans Solicitors we’ll put you at ease instantly to cover all the bases that you’re worried about. Discover more about our professional money laundering solicitors in London by speaking to us today.